When it comes to technology and innovation, the travel industry has been comparatively slow off the mark. We see hotels with rich sources of data across all parts of their service from reservations to rooms and restaurants, and yet these systems often work in silos. We know so much about our audiences but use very little to create the ‘personal’ experience they desire. So what role is artificial intelligence (AI) ready to play in taking the industry forward? AI has the potential to be truly amazing. It automates computer processes to mimic the human brain and is commonly applied through natural language processing (NLP), and machine learning. NLP is the ability to understand human speech and typing, while machine learning refers to learning from new information or data without having to be specifically programmed. Together, they allow systems to respond to specific questions or requests, and learn to improve the relevance of responses over time. After years of talk of potential, hospitality and travel companies are now delivering more added value for consumers than ever before by connecting AI into online search and booking platforms. They’re using this intelligence to drive more seamless customer experiences, coupled with chat functionalities that promote a more personal touch. It’s everything we once expected from our travel agent and more. This isn’t to say that travel agents no longer have a role to play, as it’s important to recognise that AI is a way of augmenting human capability, rather than replacing it. The launch of the Lola app in 2016 is an example of this, offering a ‘Personal travel service for hotels, flights and more’ through a combination of AI-augmented chat functionality and a team of travel agents to deliver the best of both technology and human experience. One of the first tourism boards to integrate AI into its service was Visit Orlando, who designed their digital platforms to answer travel searches for things like ‘the best lunch spots with live music’. As a WayBlazer artificial-intelligence platform, the app offers users a more personalised navigation tool in real time, and the quality of responses pre and post implementation have been remarkably different for visitors. Within the hotel mix Hilton Hotels introduced ‘Connie’ in 2016 who features IBM’s Watson machine-learning and travel info from WayBlazer. The 23-inch robot currently trialling at the Hilton McLean in Virginia is designed to inform guests of local tourist highlights, food recommendations and hotel features. Aptly named after Hilton’s founder Conrad Hilton, Connie was the first time IBM developed a Watson-enabled robot for the hospitality market, and works in conjunction with staff. By assisting with visitor requests, this technology is personalising the guest experience and empowering people with information to help them plan trips their way. The more Connie interacts, the more it learns, adapts and improves recommendations. This technology is also emerging in the Luxury space with brands like Dorchester Hotels and Edwardian Hotels investing in new AI-embedded customer relationship management systems. We’re now seeing virtual concierges such as “Edward” who is described as a “new interactive text response mobile SMS service” to assist guests with simple hotel amenity requests. On the corporate side of the market, we’ve seen slightly more resistance to change. Shifting traveller behaviour and the evolution of mobile as a booking channel have been the catalyst for travel management companies (TMC) to really rethink and redefine their technology. 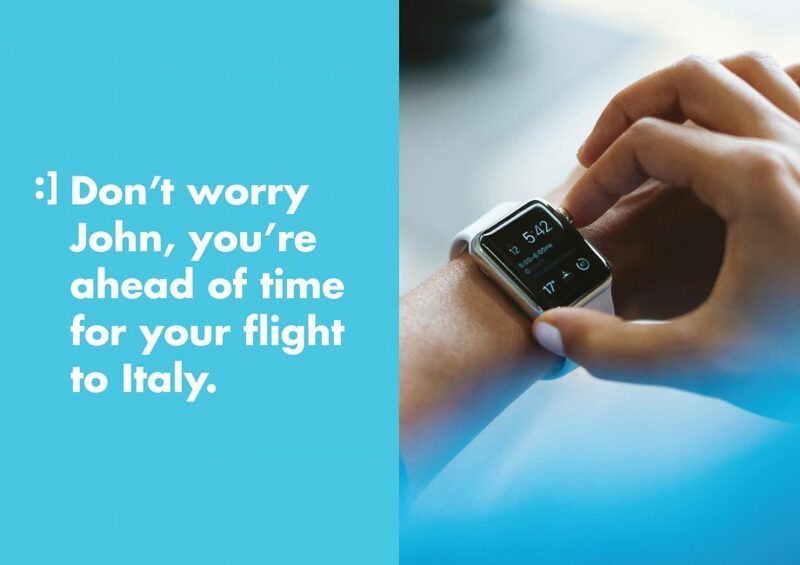 As the major players move more into technology-based strategies over traditional service-based models, we’re witnessing the welcome rise of business travel that feels a little closer to leisure, and Artificial intelligence will help this greatly. Brands to watch within this space comes from one of the largest travel organisations, Flight Centre Travel Group, and specifically their FCM Travel Solutions, a leading TMC servicing the corporate market. 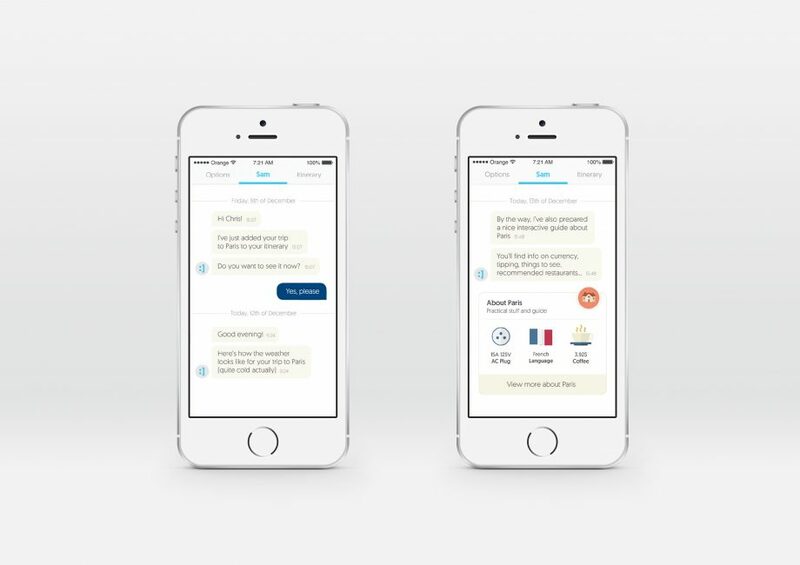 FCM is a great example of AI infiltrating business travel, with the launch of Sam :] the pocket travel assistant for business travellers in February 2017. This technology was first to market within the sector, offering travellers a seamless end-to-end experience across all aspects of travel via a conversational interface to answer questions, anticipate needs, make recommendations and perform actions. 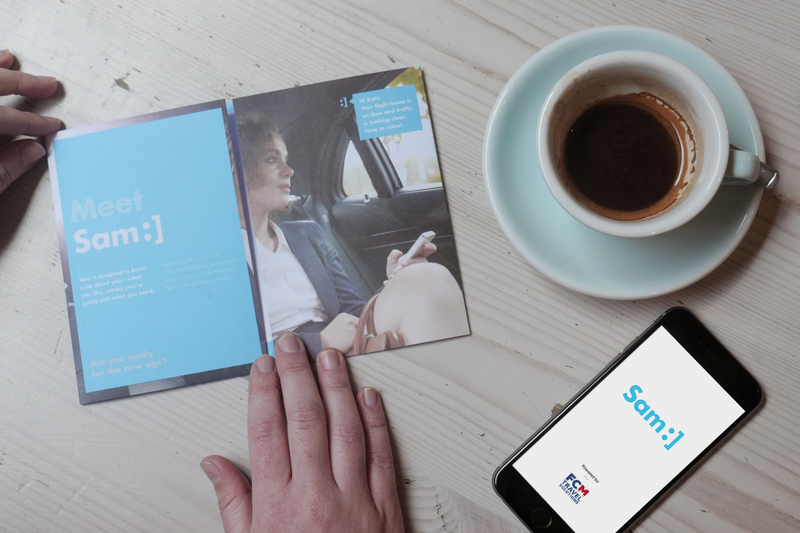 A highly interactive and travel-savvy creation, Sam:] picks up on cues such as travel patterns and preferences and updates travellers accordingly in line with company policy: the more a traveller uses Sam:], the more intelligent the chatbot becomes so that information delivered to the user is increasingly personalised. After securing initial interest at the 2017 BTS in London, clients will see the rollout of Sam :] in September and the beginning of a new and exciting chapter for the market. The lines blur between leisure and travel thanks to Sam :] and AI in general. Users control more of their experience, and the technology actively suggests activities that interest their user such as getting tickets to a local sports game when in town for meetings. Brands such as Sam :] are intentionally created to meet the demands of a new generation of travellers who set off more frequently in search of experience, with little definition between work and play. While this generation view technology as second nature, AI is powerful tool for all generations of travellers who seek stress-free travel alike. It’s therefore important that the technology feels friendly and relevant in order to build trust and loyalty. These are key considerations for marketeers on the path to launching technology that lasts. The future of the travel sector is still very much unfolding as we advance slowly but surely into the technology space. We expect further disruption from brands within the sharing economy such as Airbnb as they look to diversify their offering through technology (note they’re currently investing in AI to field questions between hosts and guests). It’s an exciting time for both traditional and emerging players should they invest in and use this power wisely.